When searching for accommodation online, you don’t want to miss out. FindOptimal has you well-covered because we aggregate accommodation inventories from 120 hotel chains and all large online travel agencies. FindOptimal covers 2.9 million accommodation properties over 237 countries and territories. Our largest hotel bases are in United States, Italy and China, which have 279778, 258822 and 235722 hotel properties respectively. Other countries/territories with more than 10,000 properties include France, Spain, Croatia (96% are residential properties), United Kingdom, Germany, India, Japan, Thailand, Russia, Brazil, Greece, Austria, Poland, Indonesia, Portugal, Denmark, Australia, Turkey, Canada, Mexico, South Korea, South Africa, Switzerland, Malaysia, Hungary, Czech Republic, Taiwan, Argentina, Vietnam, Sri Lanka, Philippines and Sweden. If you prefer to certain hotel chains over others, don’t worry. 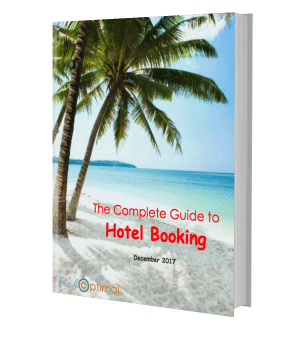 We cover hundreds of hotel chains, from large ones with several thousands properties to small ones with only 2 or 3 properties. Below is a chart showing how many properties and rooms of the top 100 hotel chains we can search. Many of the hotel chains are actually under the same umbrella. For example, the largest hotel company Marriott owns The Ritz-Carlton, Bvlgari Hotels & Resorts, Edition, JW Marriott, Autograph Collection Hotels, Renaissance Hotels, Marriott, Delta Hotels, Marriott Executive Apartments, Marriott Vacation Club, Gaylord Hotels, AC Hotels, Courtyard, Residence Inn, Springhill Suites, Fairfield Inn & Suites, TownePlace Suites, Protea Hotels, and Moxy Hotels. All of them, except Bvlgari Hotels, participate in the Marriott Rewards program. Marriott recently acquired Starwood Hotels & Resorts, which also owns several hotel brands including St. Regis, The Luxury Collection, W Hotels, Westin, Sheraton, Le Meridien, Tribute Portfolio, Design Hotels, Aloft, Four Points and Element. But it will take some time to integrate Starwood’s Starwood Preferred Guest program. The chart below shows total rooms under the top 15 hotel rewards programs worldwide. We know different people have different preferences on where to stay. Some people like the all-in-one hotel services while others prefer the home-style environment and home-made food. Therefore, we cover all types of hotel properties to meet your special needs. Below are distribution of total properties and total rooms by property type. In terms of total rooms, large commercial properties such as Hotel and Resort account for more than 80% of the total inventory that we cover. However, the number of residential properties such as Apartment, Guest house, Bed & breakfast, Vacation home and Villa have a significant share of total properties.